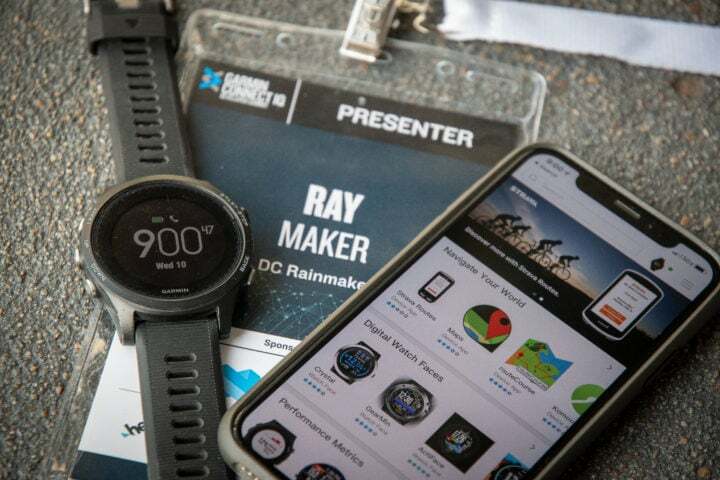 Today kicked off the annual Garmin Connect IQ Summit. 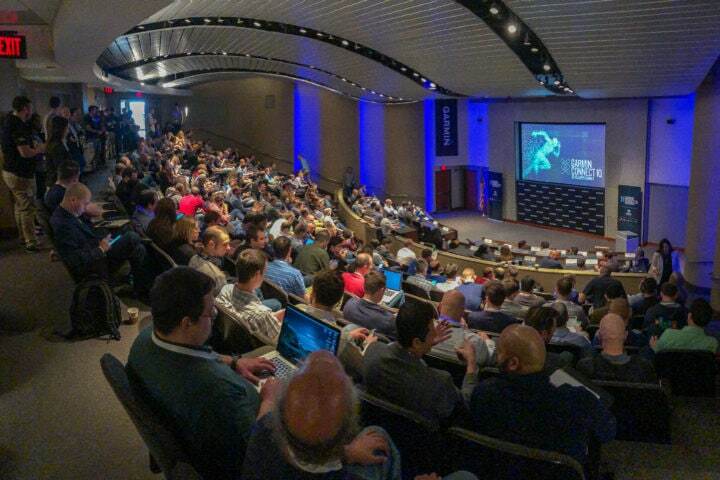 This event takes place at Garmin’s headquarters in Olathe, KS and attracts sports and non-sports partners, and 3rd party software developers for their Connect IQ teams. You’ll find everyone from TrainingPeaks to TrainerRoad, and Spotify to Mastercard. Like Apple’s WWDC conference, anyone can sign-up to go, and in fact, a small percentage of people are more enthusiasts than straight sports tech entities. 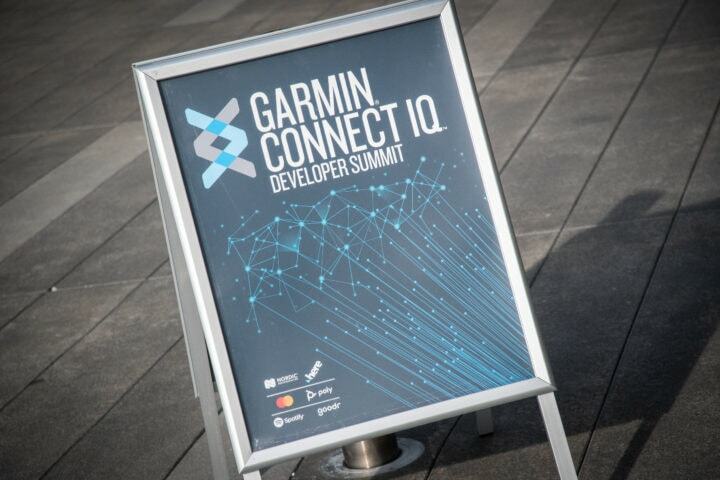 This conference traditionally is, as the name implies, about Garmin Connect IQ – their software development platform for some 50 different units at Garmin. 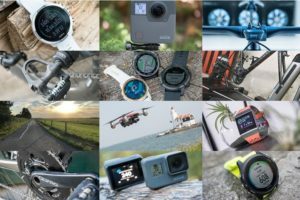 Specifically within that, explaining Garmin’s vision each year for what lies ahead, and announcing a slew of new technologies. While some of what I’ll discuss today and tomorrow may sound geeky – the implications are usually very concrete for consumers. For example, last year’s announcements around Connect IQ music providers are what paved the way for Spotify integration that was announced this past fall. In fact, one could strongly argue this conference was the turning point in convincing Spotify. Similarly, some of the announcements you’ll see today and tomorrow that may be developer focused will instantly turn back around to having a concrete consumer feature/benefit. Especially tomorrow. With that – note that this year Garmin has split up their announcements over the course of two days. A pile announced today, and yet another pile set to announce tomorrow. In fact, I’d argue the announcements I’m most excited about are slated for tomorrow. Some of which have instant benefits to you as end consumers, but also some of which have substantial (good) implications for developers. Thus, stay tuned? Since Connect IQ is developer focused, most announcements are in that ballpark. 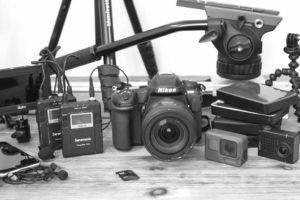 While hardware has occasionally been announced at the same time (such as last year with the Edge 520 Plus and Varia RTL510 radar), that isn’t the case for today. Instead, I’ll start with the most consumer-focused change for today, which is the splitting out of the Connect IQ app store into its own separate iOS and Android apps. Fear not, you can still use the old ways if your device isn’t supported, but the new store is designed to make it easier to find apps. This has been a long project in the making for Garmin, aimed primarily at just making it easier to find apps on the app store. As of today, there are some 5,000 Connect IQ apps from over 2,000 developers in the program. That’s a lot of stuff to sift through. Further on the stat-dropping front, the company says that they now have 10 million Connect IQ enabled devices in the market, accounting for over 90 million Connect IQ app downloads (keep in mind though, version updates would count as a re-download). Still, there’s a reality that the current Connect IQ app store wasn’t super mobile friendly, and definitely not aimed at helping folks find the apps they didn’t know existed. With the new app store, you’ll be guided a bit more into finding apps that you didn’t otherwise know might fit the bill. They’ve got a large list of logical categories within there for you to browse through. Got all that? Good, let’s keep cookin. Next, Garmin now has an animation framework within Connect IQ 3.1. This allows app developers to create animated GIF-like things within their apps. While there are plenty of potential uses for this, the most obvious one is really around instructional bits. For example, on Fitbit Versa/Ionic devices, you can get gym instructions for how to do a specific gym movement (like a squat). But you couldn’t really replicate that on the Garmin side. Now, animations support that concept. At a super basic level, here’s what that looks like on a watch. Again – it’s not about the animation below, it’s about what developers could do with this. The platform/tools also allow developers to easily convert videos into these animations. This could be used for things like step by step instructions. For example, one could see the value of this in aero testing apps that want to demonstrate how to do a specific body movement (like shrugging your shoulders or moving your hands in a certain way over the front of the aerobars). 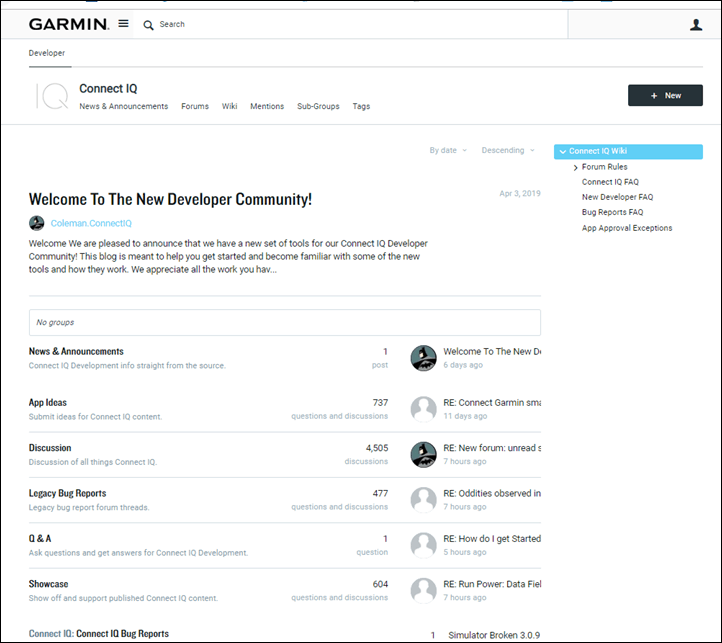 There’s nobody in the sports tech business that has as robust a community forum as Garmin. Granted, it’s full of people trying to get help with things – but that’s sorta the point of product support forums: self help. Still, a few years back Garmin switched forum platforms, and it’s fair to say things weren’t/aren’t awesome with the current implementation. I personally gave up on interacting on the forums as I couldn’t find anything. Note that during that timeframe, Garmin did ramp up the number of actual Garmin employees in the forums – so that helped a bit. Still, Garmin’s apparently heard that negative forum platform feedback from many, and as of today they’re rolling out a new forum. Specifically today, they’ve enabled the new forum for Connect IQ discussions. Expect that to expand in short order to the rest of the Garmin realm once they stabilize a bit. Not sure there’s much more I can say about that. I haven’t spent much time there yet, so will be interested to hear your feedback on it over the next little while. Finally, saving the most..errr…least…exciting thing for last, ERA. This is Garmin’s Exception Reporting Application, which enables developers to start getting data back from their own apps that have crashed or otherwise gone sideways. This will be available for any app published to the Connect IQ app store, to developers for their own apps. Note that this won’t show side-loaded apps (.PRG files, often shared in early development circles). 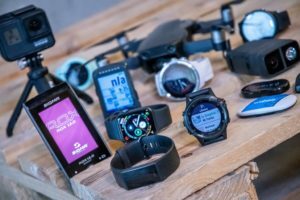 Nor will non-store compatible devices show up, so things that Garmin hasn’t announced yet won’t be seen here either (since I know someone would ask). Of course, both of those are logical exceptions. Like I said earlier, some of these things aren’t super exciting to consumers – but are super useful to developers. And if developers can understand how often their app is crashing/erroring and why, that enables them to fix it – which ultimately benefits consumers. Oh, and note per above – no personal information is shared back to a developer. What you see above is exactly what the developer gets back. Just summary information. In fact, depending on when you see this post, you should be able to tune in live on my Facebook Page, or, watch it back from the beginning – assuming all the magical technology works. I’ll also likely upload it to YouTube as well in the coming day or two. Finally, tune back in tomorrow for the really juicy announcement stuff. I think that’s the pieces I’m most excited about. Mobile notifications on my 645M don’t support emojis (at least not the standard iOS ones). Has this changed with the introduction of animation support? Hmm, it should be displaying (some) emoji. I know I get basic smiley face type emojis, but I don’t think it has the full extensive catalog of them. 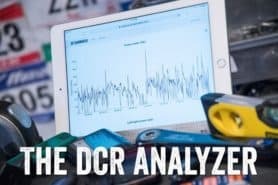 Hopefully part of the forum update will include forums for Tacx hardware and applications, seeing as Tacx deprecated its own user forums last month. I asked about that yesterday. The right people now are looking into ensuring things don’t get dropped there. I don’t think this was ‘due to the Garmin change’. In talking around, there’s no desire here in Kansas to lose the Tacx forums (for a host of reasons: It lessons support costs, it helps users, and Garmin’s just invested in this new forums solutions, among others). I expect you’ll see this bit get all untangled shortly. While nobody is saying it directly, it sounds a bit like this was a case of two companies that were on like day 4 (no, literally) of figuring out how to work together and maybe misunderstood each other. Same here. Just downloaded it on my Pixel 3XL android phone. The connect IQ store in the app doesn’t load. Just says network not available and try again. Also, the app doesn’t seem to recognize my Garmin 935 watch. In the manage device menu, it just says to refer to manual for pairing instructions. Not using a pixel phone & getting that ‘network not available’ message as well. I’m sure it will be better in a few days. Do the new Connect-IQ store apps integrate any sort of payment processing? So that you can sell an app? Or is it still a non-seamless process where buyers need to pay somewhere else for an activation key? (I’ve never actually built a connectIQ app – so excuse me if this is inaccurate – but I did read through their developer guide a few years back). No, not at this point. It’s long been a topic of discussion. My guess is that Garmin’s got probably one more year before it reaches the point where they really need to add in payment processing in order to accelerate things a bit. Thanks – out of curiosity do you use or know of any popular paid apps for connect iq devices? Was it a pain to set up? Dynamic watch is a pretty popular one. I bought the premium version a while ago. I developed the Schaatshorloge (speed skating) app, it’s mainly popular in the Netherlands as this is were the ice skating rinks are (it should also work on indoor cycling tracks if they use MYLAPS timing). The app itself is free, but after trying out, you have to subscribe to a paid service. This service runs on a web site using a regular payment provider, so it is relatively easy to set up, both for the developer and the user. Awesome Henry! I’ll check it out. Hmm, good question, I’ll poke! there are some more errors regarding to updates. Its such a PiA that I don’t update IQ items if it isn’t necessary. Literally the best thing about the new IQ app is the possibility to clear the download history of apps that are no longer in use. My device histories are cluttered with apps I installed and immediately uninstalled after trying them once. Well done! Yeah, it’s actually really good. At first I was like ‘Yet another app’, but then after playing with it – it’s quite logical. When do they fix the sync problems for Connect IQ items on the Fenix 5 Plattform? If you update data fields, they get pulled from their places in the “app”. If you update widgets, the order is destroyed. If you sync to Garmin Express on the desktop, items will be installed that where last installed via Express and were deleted in between those syncs via Garmin Connect Mobile. I just had time to try the new app on iOS, the first two points are working now. The third one will not be tested by me. What about missing sections in the forums? For example, in the German version there are eTrex subforms, in English, these devices are ignored. I have this same issue. Syncing with the new app store reset my widget order, added a few widgets, and removed a few widgets (not completely removed just from the displayed ones). Have Garmin said anything about participating in their forums, listening to customers, making it easy to report bugs and feedback of stupid UX-mistakes, resolving bugs, stupid UX-mistakes and translation errors etc? I’ve been waiting for those things for years now. They’re actually in their forums, well, at least most of them. As for reporting bugs, nothing that’s quick-hit. You can file a support ticket, which is the most corporate-efficient way of getting UX mistakes raised. But yeah, I agree, a simple 2-box webform with option to add an attachment would go a long way. I’d be fine with an early 00s forum UI but one that has increased participation from Garmin’s end addressing FW release ETAs, bug fixes etc as Tor is describing. I have been hanging out on the forums for a few years now, spending far too much time on them in fact! Pleased to see they have imported the old posts. I just hope they have got the cookies sorted out! I’d love it if they’d address the availability of weather data with the developers. Weather Underground recently removed all free api access. Other APIs are free only for a limited amount of time. This has broken all the weather data and radar image apps/widgets/data fields. I live in tornado country and have come to rely on several weather apps to keep me up-to-date with quickly changing conditions. I second the request for weather radar that works. I live in Florida, lightning capital of the US. The speed and intensity of thunderstorms here is not to be believed! The Edge 820 is notably absent from the list of devices compatible with the new app store. hmm…. My question exactly. Perhaps a sign a new version is on the horizon? Most likely, it is due for an update this year. The other question is: why not update the 820? The hardware is certainly powerful enough, as it is more powerful than the 520 plus hardware. Yes I noticed that. 820 is heavily discounted on Amazon UK and dropped a little bit more today. I guess I’m best off using my 810 for a few more months (and writing off what I spent on a Karoo). Ray, why don’t you have a forum section to your site? You would probably have some of the most visited forums out there for the category. You could organize by product/category and maybe get volunteer moderators or possibly pay moderators in discounts to clever training. I know forums are notoriously bad at generating ad clicks, but they would probably be excellent at generating amazon links and there’s some software that will automatically monetize links for you. Not to mention linking to your reviews. Just surprised you haven’t done this already. Yeah, it’d something I poked at a while back. There’s two challenges I see (but again, happy to take feedback). The first is folks assuming i can be in all forums solving issues. Certainly some like yourself may not assume that, but I fear a lot might. I barely keep my head above water as it is, without adding more troubleshooting. And the second is the assumption that different companies would go there to solve issues too. Right now, all companies monitor their product review pages comments sections (even this one here). They might not actively answer comments on every post/comment, but they definitely see them (oh…do they see them). My concern is that right now this would splinter that. The feedback (good, but especially bad) is consolidated into one spot where product teams look at the comments and can see trends more easily. Versus a forum, it’s kinda like spaghetti. Which isn’t to say I don’t like the concept of forums (heck, I even bought forum software a while back), and, I totally get it makes good biz sense. I’m just concerned it might not achieve other goals. I guess you have to decide if it brings additional revenue as well. And if so, how much. As for the companies, you could certainly organize it by manufacturer, i.e. Garmin, Suunto, etc. That would also let you limit the scope at first as well. I know you don’t want to get into be Mr. Support Guy for every device out there, but I think of it more like posting on slowtwitch where you can ask a question and get a bunch of people that also have the product to help out. I would imagine you’d have a pretty cool general forum as well, with a lot of good ideas for future devices based on your readership. It is amazing that Garmin dared to release an app that LITERALLY DOES NOT WORK. Like the app reviews state, the android Connect IQ App does not work. At all. If they can’t make it work on the reference phone (Google Pixel line) I don’t know what they have tested it with. I wish there could be a simple interface between Garmin Connect and Google Assistant. Hey Google, how many miles have I run this week? Hey Google, how many steps do I need to reach my goal today? Hey Google, what’s my current heart rate? Unfortunately, Garmin would not allow the export of the posts from the original Tacx forum. So it is starting from scratch. The good thing is that the the new forum has the same moderators as the old forum. So the wealth of knowledge they have is not lost. Yes, I’m very excited about the Exception Reporting Application! But where can I find it? Or is it still to be launched? Does anyone have a link to the Android app version? I can’t seem to find it. Either that or the name you used to search for it. I’ve tried Connect IQ, Garmin Connect IQ and multiple variations of the above with no luck. Lewis, try again today. Wasn’t there yesterday but is today. I’m UK so maybe gradual rollout. Let me know if it works as it doesn’t do anything for me? What would be nice is Garmin fixing the issues with the constant updates that break the connection between device(s) and their app. Actually, who cares. I’m 2 weeks into using my new Wahoo element bolt and it looking back. Their app is a mode of simplicity. Bye bye Garmin. 2 frustrating years are over. I would be ecstatic if they announce that LiveTrack supported Text Messaging instead of just email, or Twitter! Or even if LiveTrack worked more than 10% of the time. Hmm, weird. Obviously, I didn’t do any of the setup. I just checked the offline recorded one as well, and it sounds a bit odd too. Wonder why, it sounded great in the auditorium. Hi Ray! First time poster, long time follower. I currently have a Fenix 3 and looking to upgrade. Is it best to upgrade now to Fenix 5x Plus or wait??? Do you expect a new Fenix to come out sometime between now and CES 2020? Thanks Sam. Yes, I figured that it could be possible in June but most likely won’t be till CES in January. 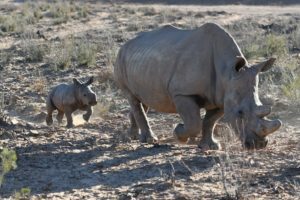 No a very fitness-related, but – no support for Oregon/Rhino in the Connect IQ Store? Them seem missing from the list. Would be nice if they would finally bring running power (e.g. from Stryd) for structured workouts as intensity target. Did they say anything about it or may you maybe ask about that feature? Thanks. To 1000%. Or at least allow more than 2 CIQ data fields…..
No changes to running power unfortunately. The new Training API would support anything Stryd wants to send them, the challenge in this instance is that Garmin’s own devices don’t support running power natively. Thus, there’s no way for it to understand running power targets. Actually something I discuss in the keynote…. Regardless of user experience, I am super happy, that there will be a few apps for very specific purposes, and they will have a clear direction. Long time ago I was suggesting RunKeeper to make a minimal app for tracking and looking at stats, that follows the kiss principle, and make a fancy one for all the social stuff. Forums, comments, pictures, whatnot. The dividing line here is different obviously, but I’m happy, that things will be more clean. Och, man, I thought, that the picture would be the avatar, sorry about that, feel free to delete the comment,it is pretty annoying. 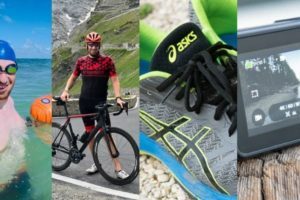 What about a sub-Forum only for sensors (HRM, Footpod, RD-Pod, Cadence/Speed, 3rd-Party, etc.)? Oh darn! I managed a double post, sorry. So let’s call it The Watch Face Summit. Watch the face of the audience during the summit while facing to the summit with their watch. Two witches are watching two Swatch watch. Which witch is watching which Swatch watch? One is related to “what device should I buy”, what is a major, or most frequent topic there. For all these questions make an automatic link insertion to DC Rainmaker. 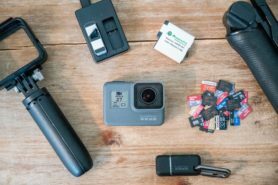 He does testing, recommendations, and reviews. Problem solved. In ConnectIQ apps, it is possible to add data to the activity FIT file, but only records, laps en sessions, not lengths. A ‘length’ is a distance where the time/speed is only known afterwards, e.g when you turn in the swimming pool or when you complete a lap in indoor cycling or speed skating. Will it ever be possible to add length info to the FIT file? I have discussed this with some Garmin staff at the ConnectIQ conference two years ago, there was no real response then, can you raise this and hopefully get an answer now? And what about Amazon music? And what about TIDAL? j/k. I don’t run with music, but maybe I need to start… I mostly use Spotify so I think I’m covered. Streaming music is really where it’s at, but I’m not ready to pay another monthly bill to Garmin for LTE. Too bad the announcement of the Connect IQ store app is followed up with a non-functioning app. Just a white screen with the top menu and no connection to my Connect account and no way to get it there. I mean, it’s been less than 24 hours since it’s been announced. I’m sure it got quite a few downloads yesterday. How about we have a Little patience and see if it’s working later today or maybe this weekend? It’ll be ok. Same here in Italy, not working at all. I don’t really buy the “it’s new, give them time” reasoning. Garmin it’s not a mom and pop shop, they are supposed and have the means to release things that work. Another example of Garmin treating customers as beta testers. 2.4/5 on Google Play Store is a failure in my book? That ERA screenshot looks like it was taken off a machine running X Windows. Are they doing their development on Unix/Linux platforms? It is run on windows 10 and UI you are seeing is simple java app build around standard java lib. Mmm…I wish I had the recipe for those BBQ meat stuffed corndog ball things dipped in maple syrup. So good! 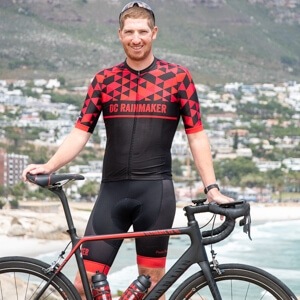 Thanks as always Ray, anything you can do to pass on the message that we would like our Garmin’s to vibrate all the time per our settings, and not fail each time the software is update (granted this might be more device focused than connect IQ, but we need this message everywhere! Okay, i might have missed something here but I can’t find the new Connect IQ app in the app store….. Can someone put up a link? ANy news on “Power in Running Mode” ? Hi Ray, I just tried to connect the 920XT and it seems to work. The app can see the watch, installed apps and I can install apps. I downloaded the new IQ app and my Fenix 3hr started continually restarting. After trying many remedies it would only stop once I deleted the app and has been fine since. I like the new look of the app but it may not be quite ready. I often use my bike for the groceries and work. Do you also recommend it for me? Please can you ask Garmin to put back the local storing of .fit files on Garmin Express. It is a big downer for all of us using the data in other programs, and it would be so easy to do for them! Out of curiosity, what’s the specific use case here? Meaning, when you plug the device in, the .FIT file is accessible. Or is it that you want a repository that’s constantly sync’d? So the (new) ConnectIQ app looks to the (old) Connect app for paired Garmin devices? Or Bluetooth parings from your smartphone? Because the ConnectIQ app itself doesn’t require registration or authentication to my 1030. Meh…I can’t get my Edge 520 to talk to the Connect IQ app. The Garmin Connect app works just fine with with me Edge. I’m guessing that that should be “… devices not on this list …”.